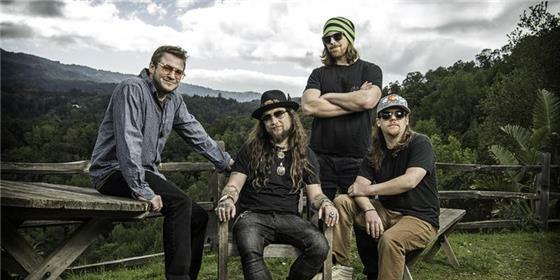 Twiddle with The Jauntee will play at Songbirds South Stage on Sunday, Sept. 30. Doors open at 7 p.m. and the show begins at 8 p.m. This show is for 18 and older only with valid ID. Tickets are $15-$18 and available here. With 12 years of relentless touring behind them, Vermont-based rock band Twiddle has built an impressive resume spanning Red Rocks to Bonnaroo, and multiple sellouts of historic rock venues including Port Chester, NY’s Capitol Theatre, and Washington D.C.’s 9:30 Club. And with the second half of the band’s third studio album PLUMP on the horizon, the band’s career continues to catapult forward. Buoyed by the generous support of 359 Kickstarter donors, the 27-song album does more than showcase the group’s beautiful music but also tells an important story, comprised in PLUMP Chapters 1 & 2. Comparatively, Chapter 2 contains genre-bending instrumentals, as well as mystifying epics like “Nicodemus Portulay” and “Orlando’s.” More than 10 years later, these songs mirror the earliest Twiddle arrangements of 2004-2005 when Mihali Savoulidis and Ryan Dempsey were collaborating in their freshmen dorms at Castleton State College. The completion of PLUMP is timely, coming at a moment when the band’s fervent fan base is at an all-time high and expanding rapidly.